As part of January’s National Glaucoma Awareness Month, Optikk 30A is joining with other leading eye health organizations in urging our patients to know their risks for the sneakiest, sight stealing disease. Glaucoma is a leading cause of blindness in the United States. It is estimated that over 3 million Americans suffer from glaucoma, with only half of them even aware they have it. That’s a scary thought! Appropriately nicknamed, sneak thief of sight, glaucoma can strike without pain or other symptoms causing its sufferers to lose a small fraction of their vision daily. Unfortunately, there is no cure for glaucoma and treatment cannot reverse damage that has already occurred. The key is early diagnosis...and it’s as simple as scheduling a comprehensive eye exam with your optometrist! With treatment, glaucoma can be controlled, minimizing and even preventing further damage. Let’s take a closer look at what glaucoma is. Glaucoma is a multi-factorial, complex group of eye diseases in which damage to the optic nerve leads to vision loss. The cause of glaucoma is not known however increased pressure in the eye is usually present. There is no specific level of eye pressure that leads to glaucoma and those with completely normal eye pressure can develop glaucoma as well. Current research suggests that reduced blood flow and nutritional deficiencies could also play a role in the development of glaucoma. Untreated, it will result vision loss progressing to a narrow field of vision also known as “tunnel vision” and ultimately blindness. Everyone is at risk for Glaucoma, but there are certain groups of people who are at a higher risk. Age, race, family history, and medical history are all risk factors that may increase your chance of having glaucoma. People over the age of 60 are 6 times more likely to develop some form of glaucoma. African Americans are 3 times more likely to have glaucoma than others and 6 times more likely to be blinded by the disease. Hispanics are also at increased risk for glaucoma as they age. Those of Asian and Native American descent are at increased risk for angle closure glaucoma. Family history increases your risk of developing glaucoma four to nine times. Primary open-angle glaucoma is hereditary, so it is important to keep a record of your family medical history. Eye injuries that “bruise” the eye (called blunt trauma) or injuries that penetrate the eye can damage the eye’s drainage system, leading to traumatic glaucoma. Glaucoma and its symptoms have a life-changing impact. The best way to protect your sight from glaucoma is to get a comprehensive eye exam and detect it early! The most common first line of treatment involves eye drops to lower the eye pressure. If the prescribed eye drops fail to lower the eye pressure adequately, then surgical intervention is indicated. The ultimate goal of glaucoma treatment is to lower the eye pressure and prevent further optic nerve damage. A diagnosis of glaucoma requires close monitoring of the ocular pressure and the optic nerve by your eye doctor. At Optikk 30A have the latest in optical coherence tomography (OCT) technology which allows us to closely monitor the retinal nerve fiber layer for thinning and thus progression of the disease. Visual field testing is another valuable tool in monitoring the progression of visual field loss in glaucoma. With the start of this New Year we encourage you to talk to your friends and family about glaucoma and its many risk factors and possible symptoms. There may not currently be a cure for this sight stealing disease, but steps can be taken to protect and preserve your vision. Call or stop by our optical boutique in Redfish Village on Scenic 30A. Together, we can get ahead of vision loss as well as make a New Year’s resolution to make eye health a priority. 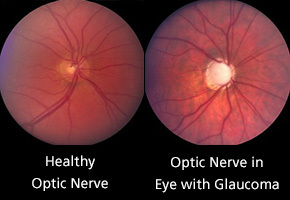 Read more about Glaucoma from the Glaucoma Research Institute at www.glaucoma.org.